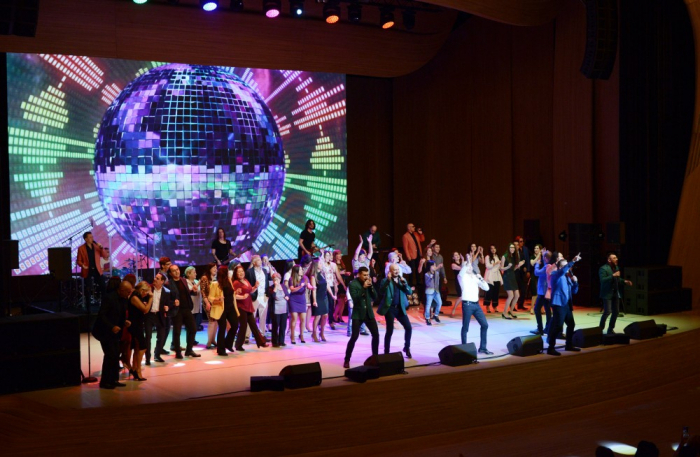 Russia’s famous Turetsky Choir has performed at the stage of the Heydar Aliyev Center. First Vice-President of the Republic of Azerbaijan Mehriban Aliyeva attended the concert. The concert featured most popular compositions by Turetsky Choir. The group also performed Muslim Magomayev’s song in Azerbaijani. Following the concert Azerbaijan’s First Vice-President met with Turetsky Choir’s staff and posed for photographs together with them. Turetsky choir made its debut in 1990. The founder and director of the choir is Russia’s People’s Artist Mikhail Turetsky.